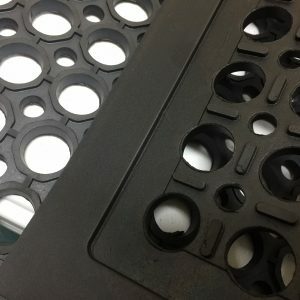 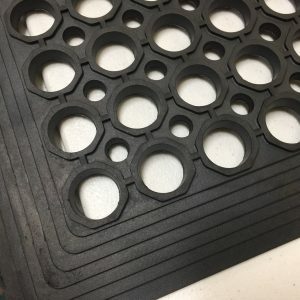 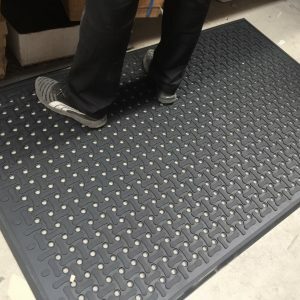 Moulded rubber anti-fatigue mat with beveled safety edges designed with large holes allowing great drainage. 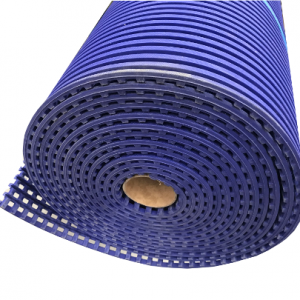 Hard wearing and versatile Ribbed PVC matting. 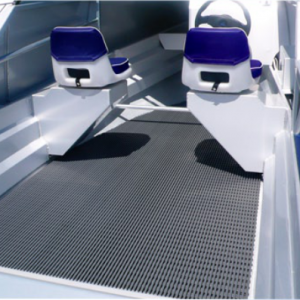 Suitable for use on Boats, around the Pool, Workshops, behind Counters, anywhere requiring non slip matting. 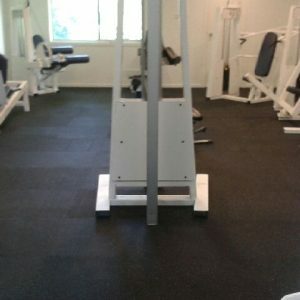 Self draining, safety matting for leisure surroundings. 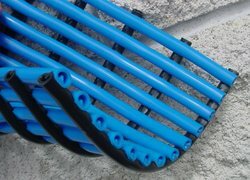 It is made from a specially formulated strong, flexible PVC with uniquely channelled under-bars for increased drainage of large amounts of water. 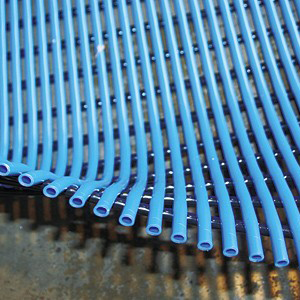 PVC tubes made from non toxic food grade PVC resistant to oil and most acids UV stable. 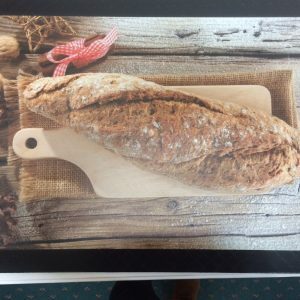 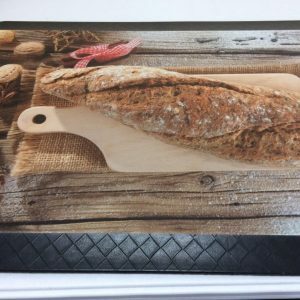 Sold in Rolls or linear metre lengths , easy to cut. 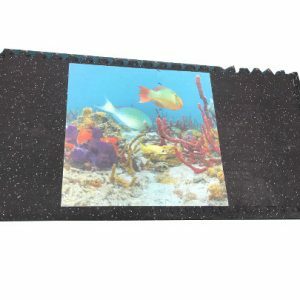 Soft on feet Vynalite light weight PVC multi purpose wet area matting ,add safety to pool/shower/boat. 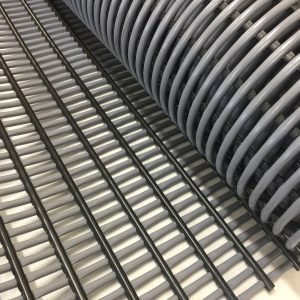 Sold in linear lengths , easy to cut. 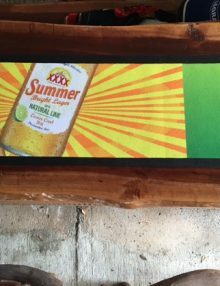 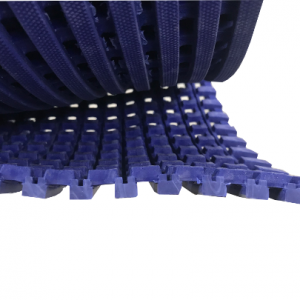 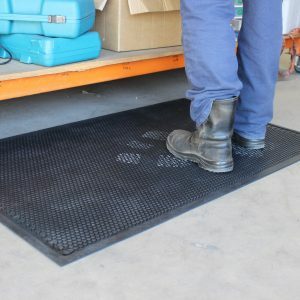 The Kex Comfort anti-fatigue rubber mat is the first mat of it’s kind – an anti-fatigue mat specifically designed for the laundry industry. 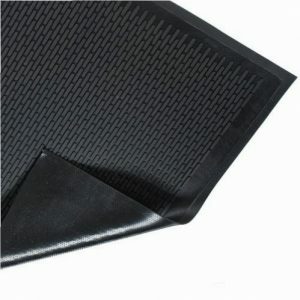 Manufactured from premium quality nitrile rubber, water resistant, resilient to impact and easily cleaned. 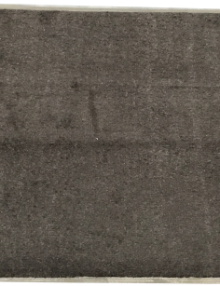 Kleenscrape When Quality and Performance Counts ! 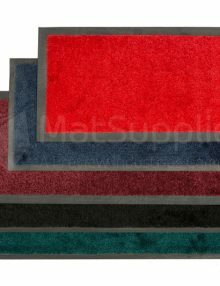 Constructed of 100% Nitrile rubber for oil and chemical resistance, the Kleen-Scrape mat is the ‘work-horse’ of the range. 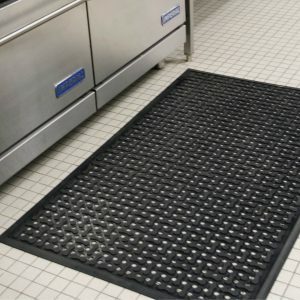 The mat is ideal for environments where traction is essential in areas such as kitchens, locker rooms, behind bars, production areas and outside entrances.